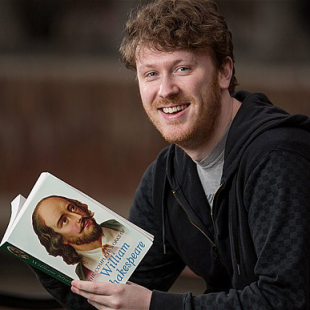 Bristol resident Edd Joseph has been texting a scammer the complete works of Shakespeare after they failed to deliver a promised PS3. Revenge is a dish best served digitally. At least that's probably what Edd Joseph would tell you. A resident of the Bristol, England, Joseph recently found himself on the victim end of an internet scam. Enticed by a cheap PS3 bundled with some games, he sent a supposed seller 80 pounds sterling (about $130). Said seller, unfortunately, turned out to be a fraudster who took the money and ran. Understandably angry, Joseph went to police who informed him that the odds of catching the seller were slim. Still wanting to dole out some kind of comeuppance however, he concocted a plan to get the seller back: he began texting him the complete works of Shakespeare. "It just occurred to me you can copy and paste things from the internet and into a text message," explained Joseph. "It got me thinking, 'what can I send to him' which turned to 'what is a really long book', which ended with me sending him Macbeth." Joseph has continued with his wordy vengeance for close to a week now, copying, pasting and sending the famed poets plays to the fraudulent seller who, in turn, receives hundreds of consecutive texts as the lengthy works are automatically broken up into smaller messages. "I got the first reply after an hour, and then a few more abusive messages after that," said Joseph. "His phone must have been going off pretty constantly for hours." Eventually the seller tried to call him. "I tried to ask him if he was enjoying the plays, but he was very confused." Confused or not, Joseph affirmed his intent to continue the texts, as well as his new affection for Shakespeare. "I've got a new appreciation you could say - especially for the long ones."